Order a Custom Graphic Tag Now. Open your favorite page layout/graphics program. Create a box 1.375" wide x 2.125" tall. Use your graphics and text to create a tag design. Save your completed graphic as a jpg, png or pdf. Custom Graphic Tags are 1 3/8" x 2 1/8" tags printed on a flexible, durable white plastic. The imprint is water proof, wear proof and durable. 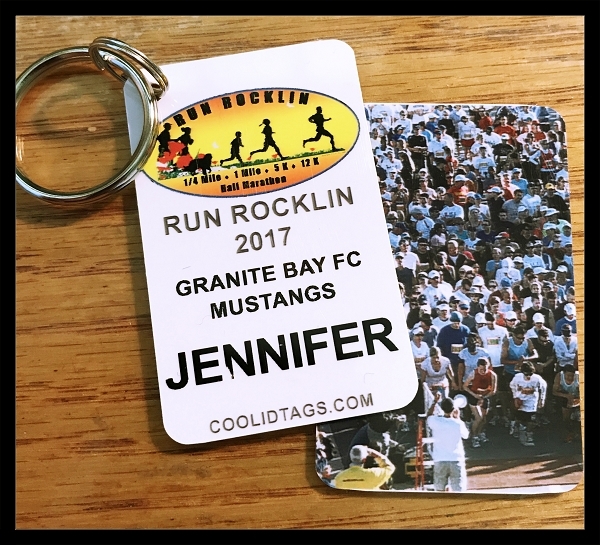 Each tag allows you to place a full color image and text on the front of the tag and a full color image on the back of the tag.